Very little is known about the monastic settlement at Oran. It is said St Patrick founded a church here and appointed St Cethec as the first bishop. 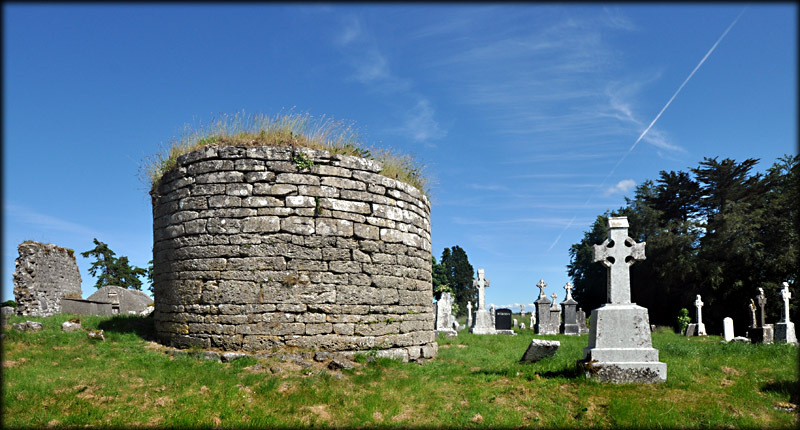 All that suvives is the stump of a round tower and the scant remains of a much later church. 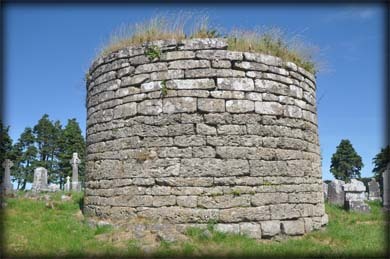 The tower stands at four metres high and features two distinct types of stone. There are no doors or windows present in the remains. 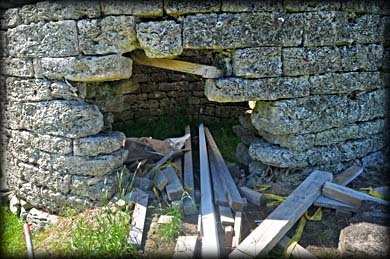 An opening in the northeast of the tower is not the original entrance. There is a single visible offset. 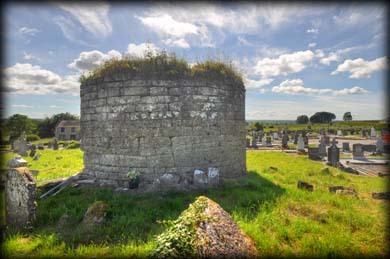 On the southside of the road is a holy well dedicated to St Patrick. Situated: Very easy. Located in Oran graveyard. From Roscommon Town head northwest on the N60 for about 11 kilometres. The graveyard is on your right. Discovery Map 40: M 7751 6940. Last visit June 2014. Dimensions: Height 3.9 metres. Diameter: 6 metres.